Shaquille O'Neal, beloved celebrity and NBA great, announced his retirement from professional basketball in June of 2011. In addition to his performance on the court, Shaq was one of the most influential pop culture figures of the '90s and '00s. He starred in numerous feature films. He released his own rap album. He starred in his own fighting game. He was one of the earliest celebrity adopters of the burgeoning Twitter platform, helping to bring the microblogging service to the mainstream. He's even taken time out from his busy schedule to conduct the Boston Pops Orchestra. So now, on the eve of his departure from the world of sports, we salute Shaquille O'Neal's long and storied NBA career with a fond look back at some of the highlights. This list is VoteRanked, so remember that your votes help determine the placement of the items. In an incident typically ranked with the NBA's most intense on-court fights, Shaquille O'Neal and Charles Brkley faced off during this Fall 1999 Lakers vs. Rockets game. 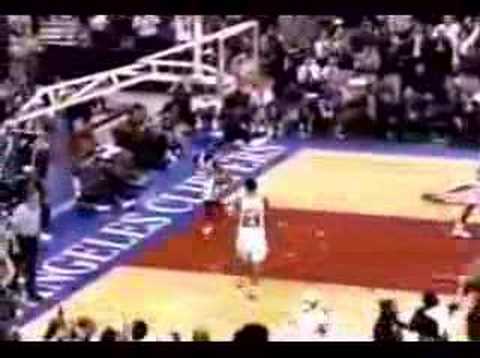 Barkley had attempted to bounce the ball off of Shaq's head, which you should really avoid doing whenever possible. In 1999, Phil Jackson joined the Los Angeles Lakers as head coach, and the success of his "triangle offense" (not to mention the presence of fellow All-Star Kobe Bryant), propelled Shaq and the team to the NBA Finals, and eventually to victory over the Indiana Pacers. It was the Lakers first championship since 1988, and the first championship of a 3-peat. Shaq was named MVP of both the Finals and the regular season. 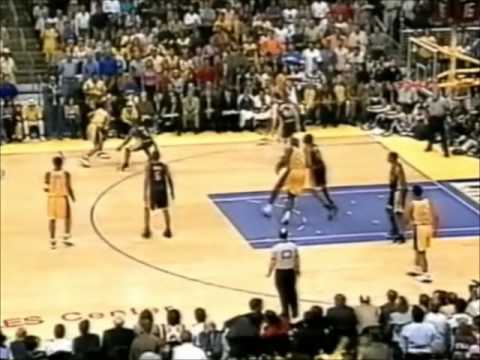 The Lakers played against the Clippers on March 6, 2000, which also happened to be Shaq's 28th birthday. The game was considered a Clippers "home game," prompting Shaq to ask his crosstown rivals for some extra tickets for friends and family. The Clippers refused. 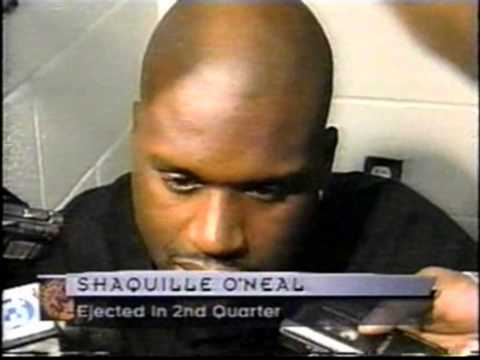 Shaq responded by scoring a record 61 points against them that night, and also making some epic plays, including an infamous failed 3 pointer/alley oop pass to Kobe Bryant. 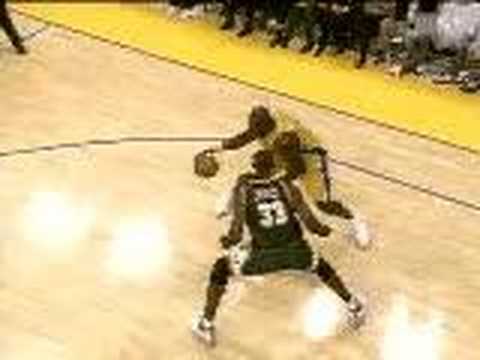 In this clip from an April 15th, 2002, Lakers vs. Sonics match-up, Shaq slips around Jerome James of the Sonics before connecting with the dunk. O'Neal would go on to score 41 points in the game.